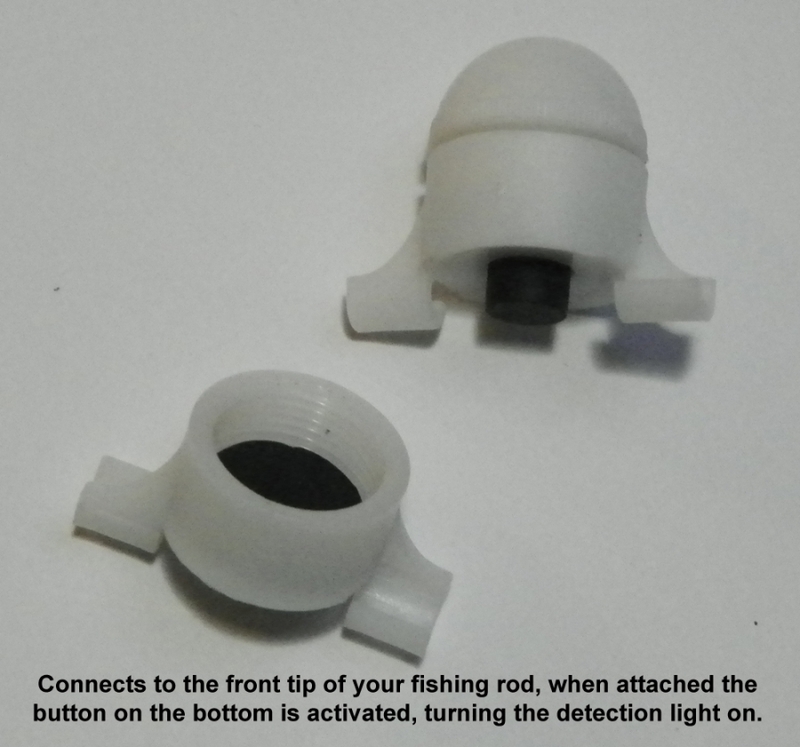 One of the most handy items for night fishing, this sensor is excellent for keeping track of your rods movement even from a long distance away. Attaches to the tip of your rod, when clipped on the base button is pressed which activates the light. 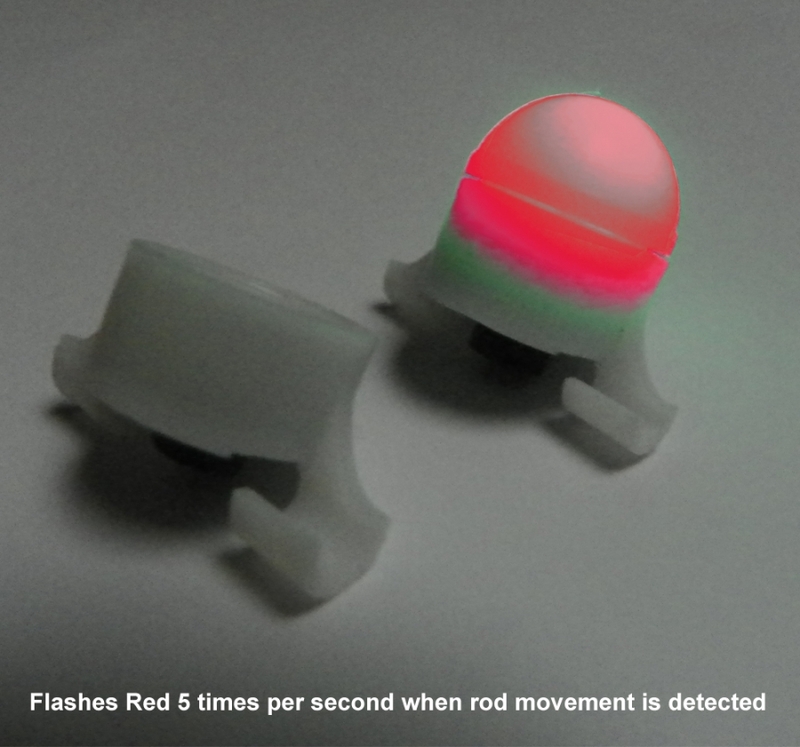 The light will slowly flash green until rod movement is detected, then it will flash a fast red, if movement stops, the light goes back to slow green. Comes with small and large sized base attachments to suit regular and beach fishing rods along with rods with fine tip widths such as spin rods. Light can be easily seen from up to 80 meters away. Extremely simple to use. Highly effective and well designed. 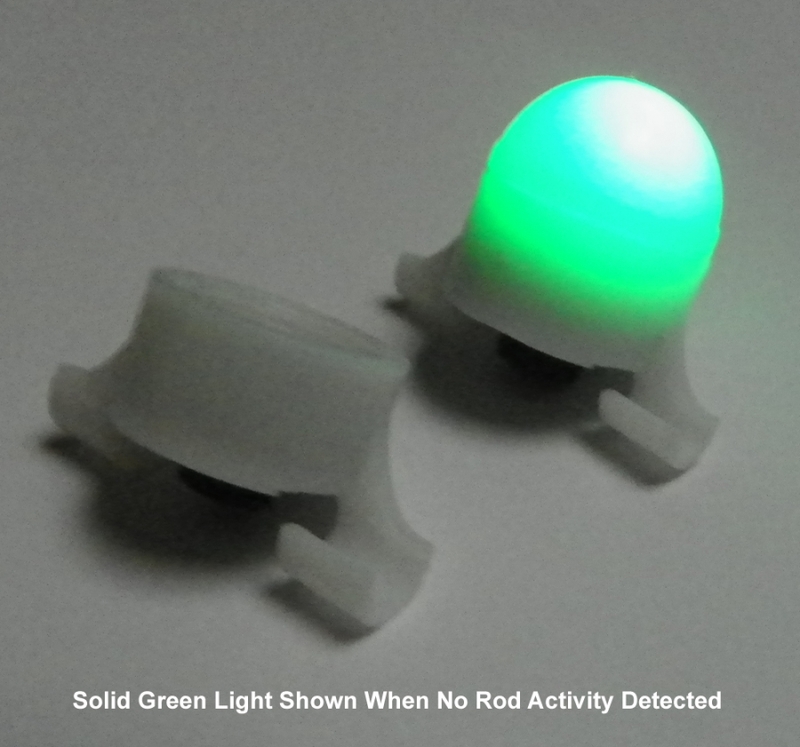 This sensor will quickly become essential for your night fishing. 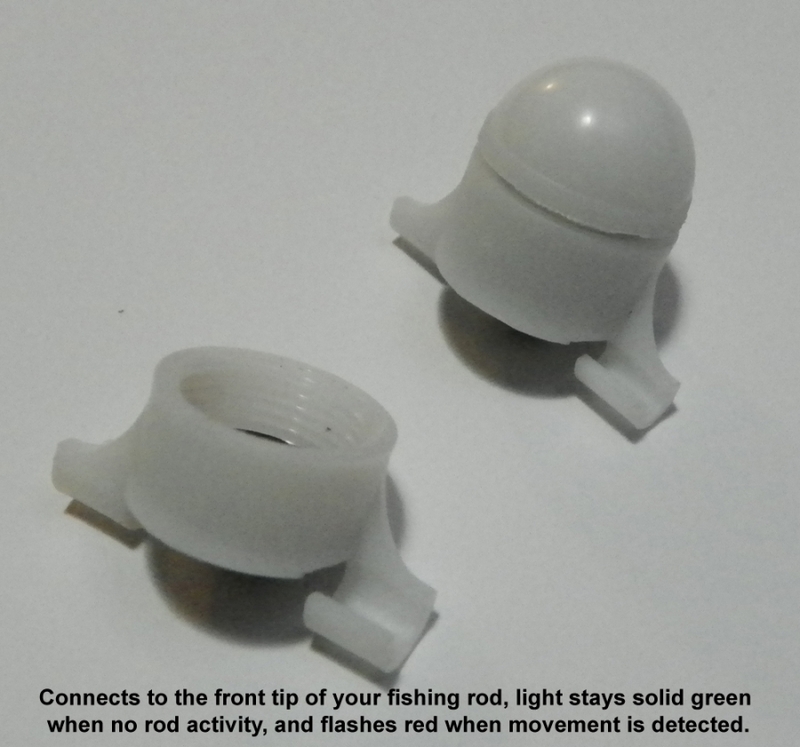 To turn the light off while attached to your rod, simply turn the top bulb to the left until the light is deactivated. To turn it back on turn the bulb to the right. Height (when not attached to rod): 24mm (2.4cm). Height (when attached to rod): 20mm (2cm).